Considering how many fewer parts motorcycles have compared to cars, one might suspect they are easier and less expensive to maintain. This may be true, but there are also a lot less motorcycle repair shops and many of those seem to be closed on Sundays and Mondays. In addition, one cannot ride his motorcycle into the local Jiffy Lube, hand over $30 and get an oil change within 10 minutes. The technicians would just look at you as if you had just brought in a space ship from the disgraced planet of Pluto. Fortunately, with the aid of one’s owner’s manual, one can do much of the regular servicing of one’s bike himself assuming his mechanical and intellectual prowess exceeds that of a monkey, thus saving the $80/hour a motorcycle mechanic would typically charge. 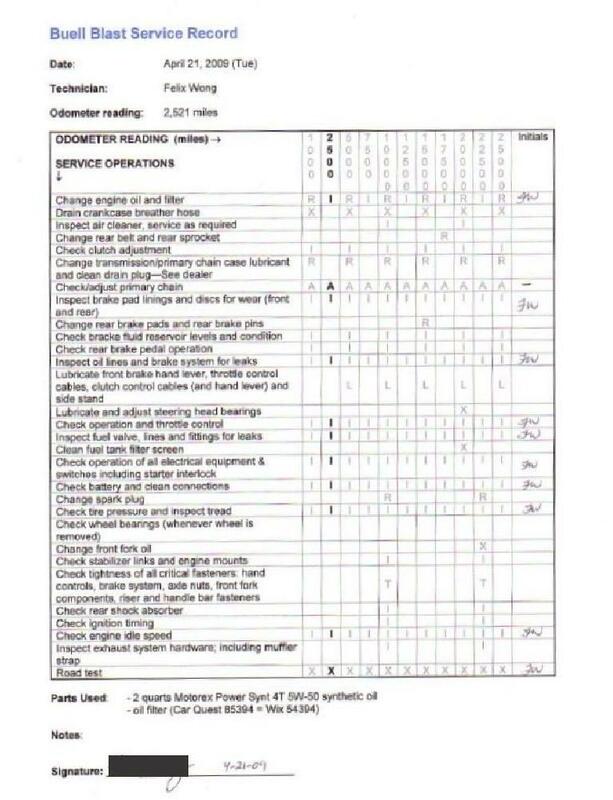 If one does work on his bike, however, it is good to keep a checklist as a record of what work had been done for yourself and also any future buyer of your bike. 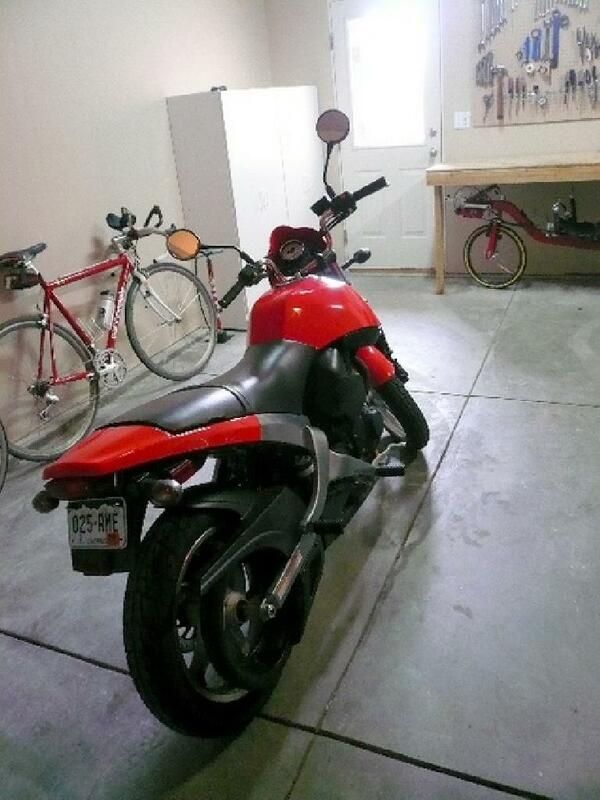 Having service documentation may help you sell the bike easier and enhance resale value. Buell Blast owners can download the blank Buell Blast service form (Microsoft Word 97, 50 KB) depicted above.